This is my Christmas present from Hannah. 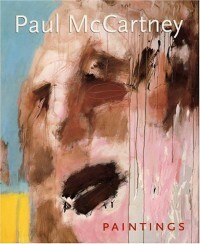 I was far more impressed with Macca's work than I thought I would be. It is interesting to me the relationships he has created with other artists and his willingness to rejoice in the work of those who have inspired him. Just as he readily jumps into Little Richard's Lucille, he is quick to acknowledge the influence of DeKooning and others on his painting.